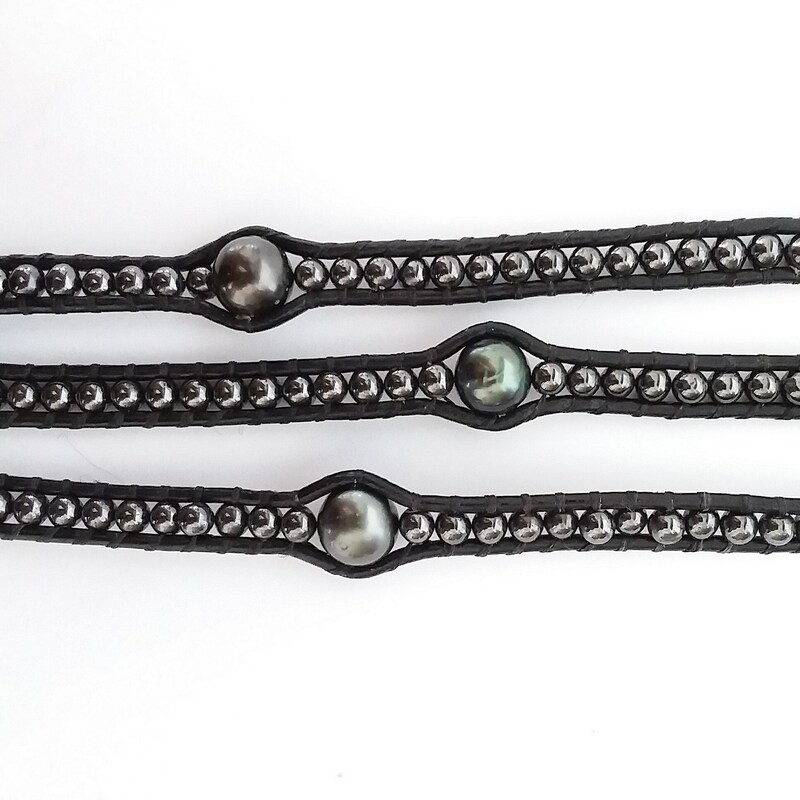 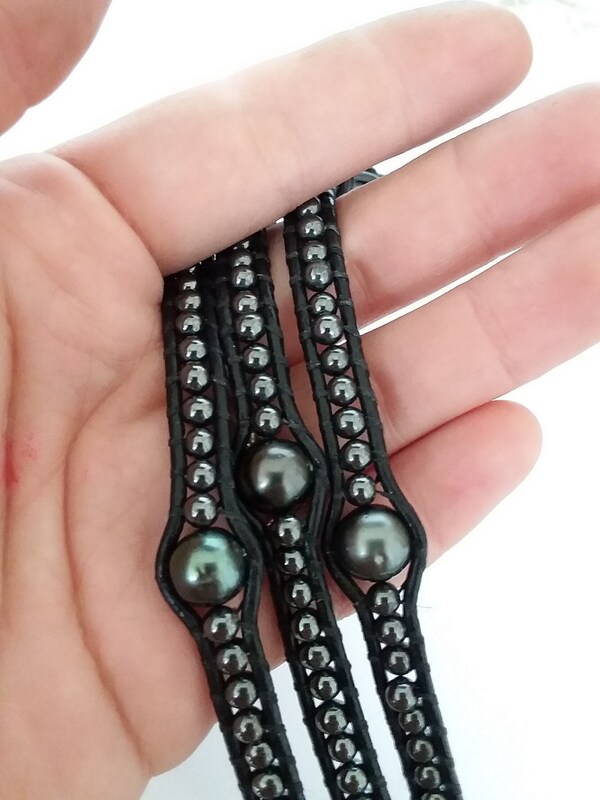 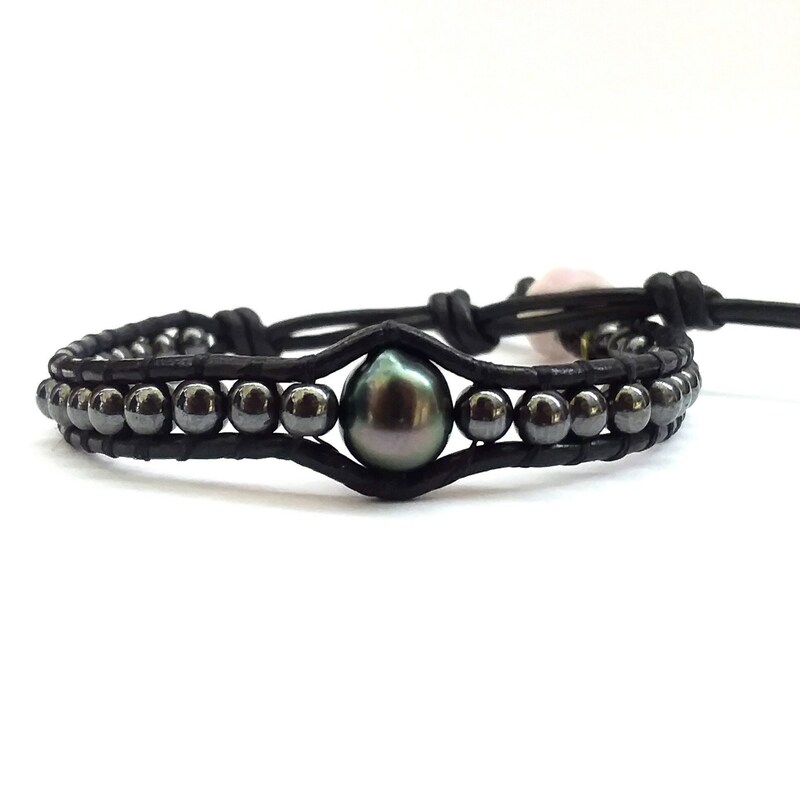 A gorgeous & edgy bracelet, featuring hematite stones & a Tahitian pearl. 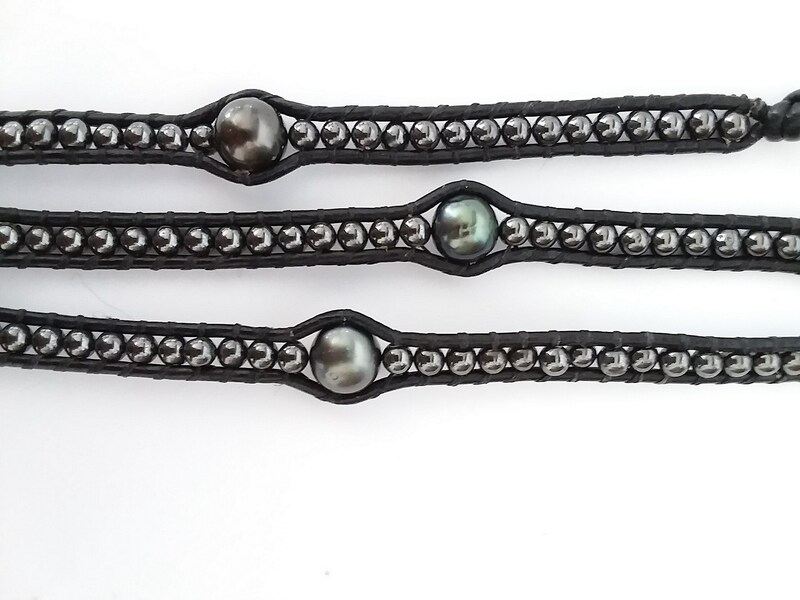 Perfect for stacking with other bracelets. 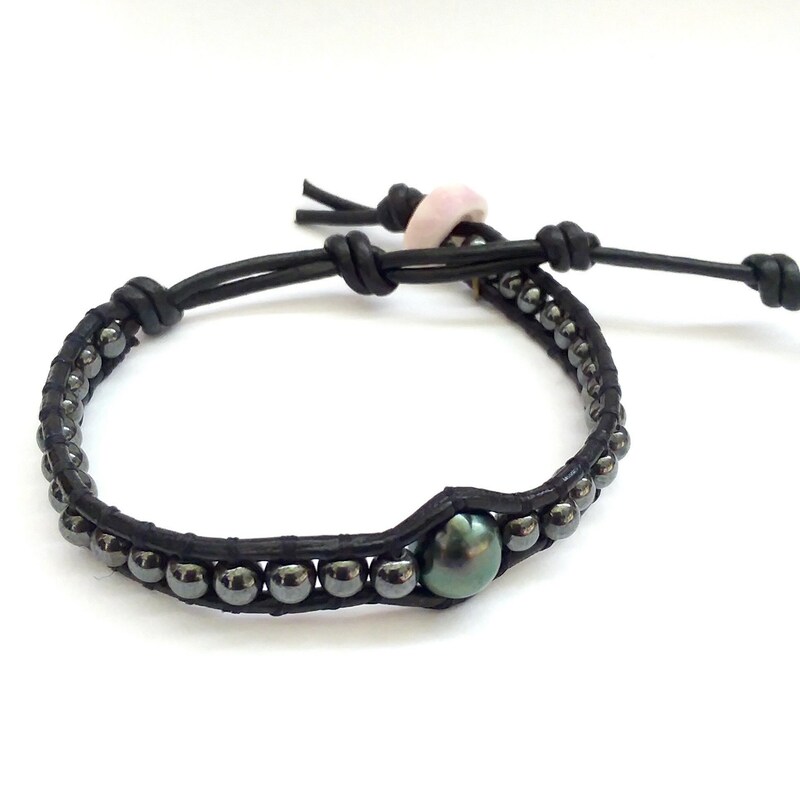 Wear this to add a little boldness to your outfit.